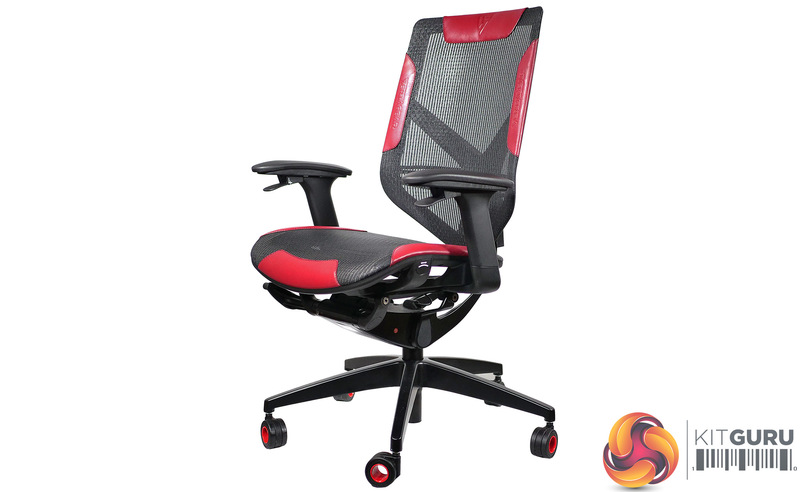 Vertagear makes the bold claim that its Triigger 275 and Triigger 350 models are ‘Redefining gaming chairs.’ Mind you, that claim suggests you have a clear idea about the definition of a gaming chair. 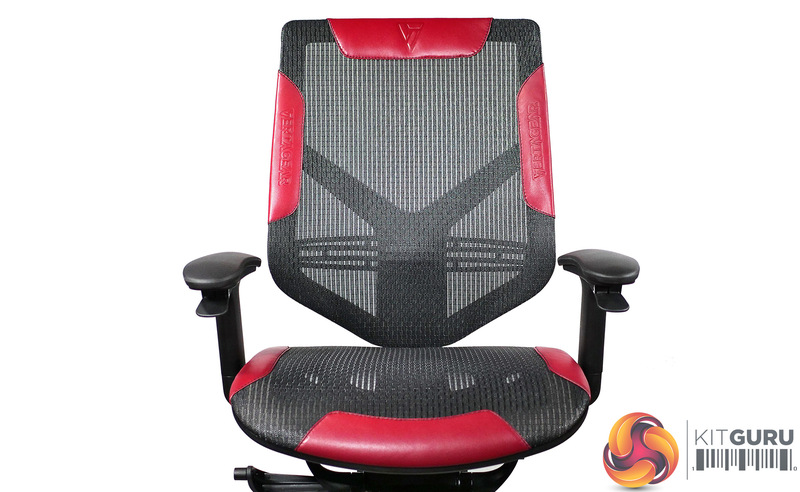 Some companies feel a gaming chair should look like a racing Recaro with bling colours and a chunky headrest while Vertagear instead puts the emphasis on support for your back and shoulders to keep you supported during lengthy gaming sessions. 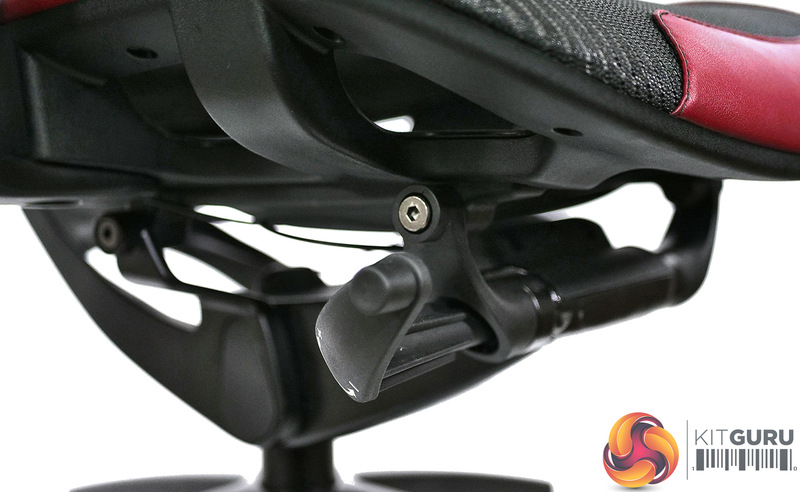 The Triigger model names are derived from ‘more than 275 components’ and ‘more than 350 components’ which suggests you might have an extensive construction job on your hands when you buy a new chair. 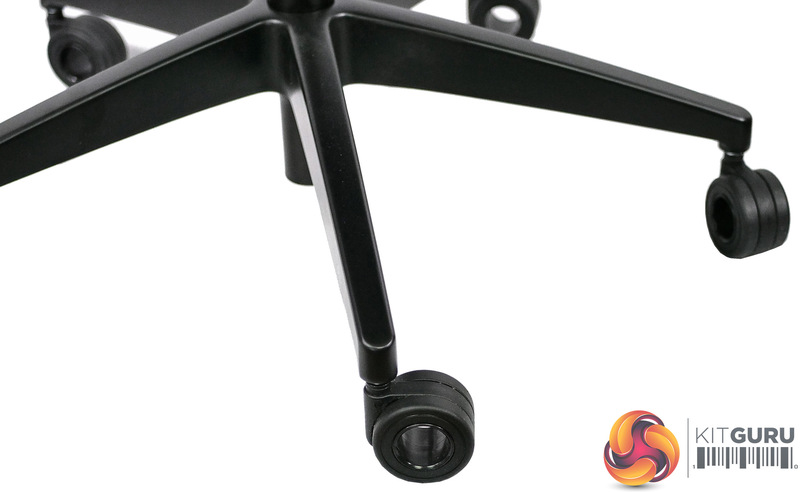 In fact the opposite is true as the chairs arrive assembled and simply require that you pop the hubless caster wheels in the base, slide in the gas ram and lower the seat on to the base. 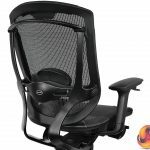 The entire process took less than five minutes including tidying away the packaging. 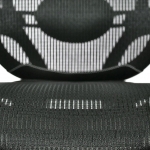 From the front the 275 and 350 clearly have a great deal in common. 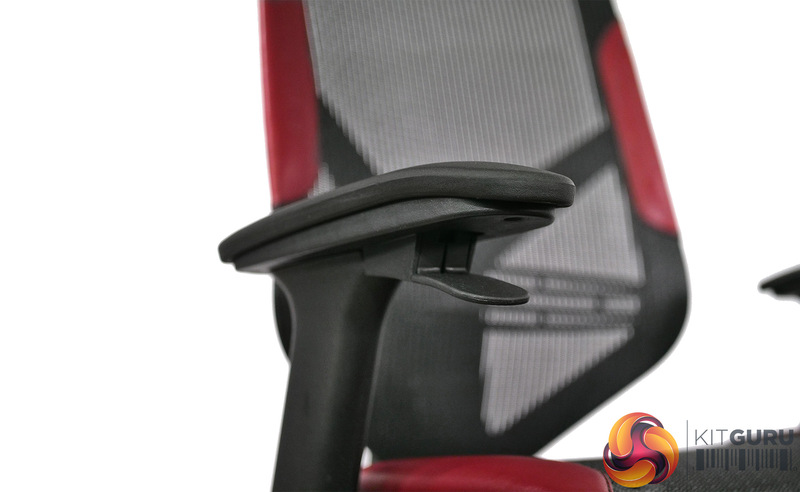 They use the same control system, including the all-important triggers that give the chairs their Triigger name, and they feel the same as each other in terms of build quality and the use of high end materials. 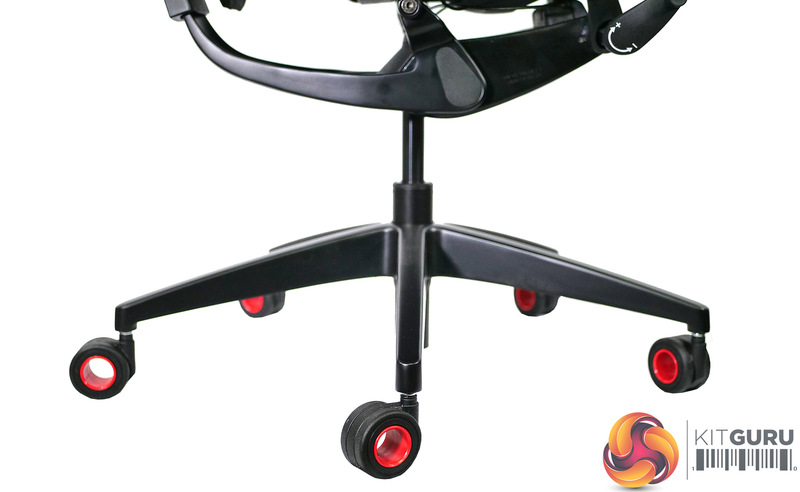 Spin the chairs around and you will see the backs are completely different. 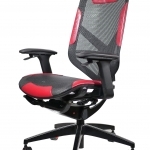 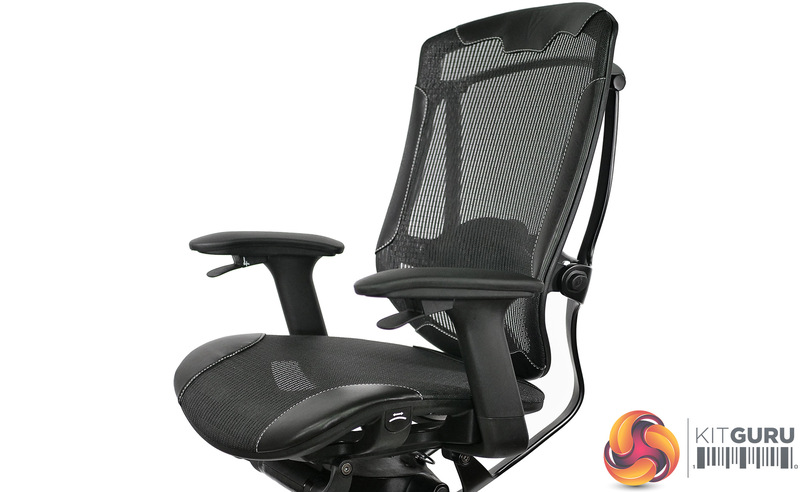 The cheaper 275 has a back that can be raised and lowered but apart from that it remains directly connected to the seat base. 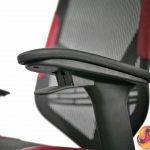 The lumbar support is a plastic strap that can be raised or lowered. 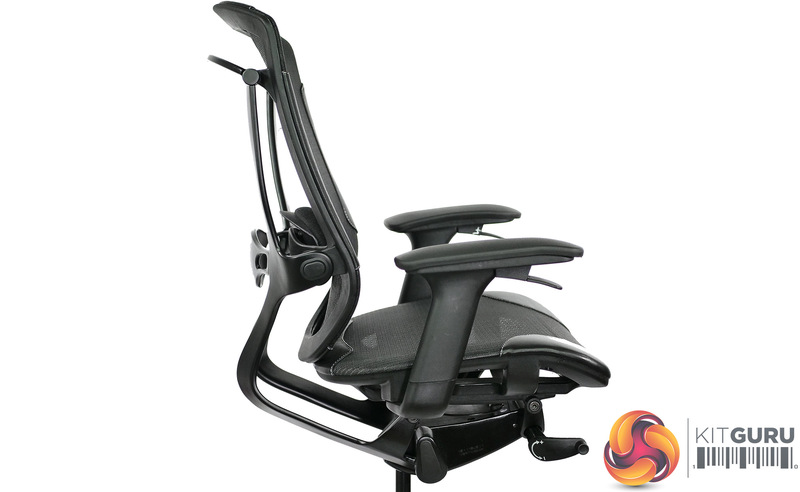 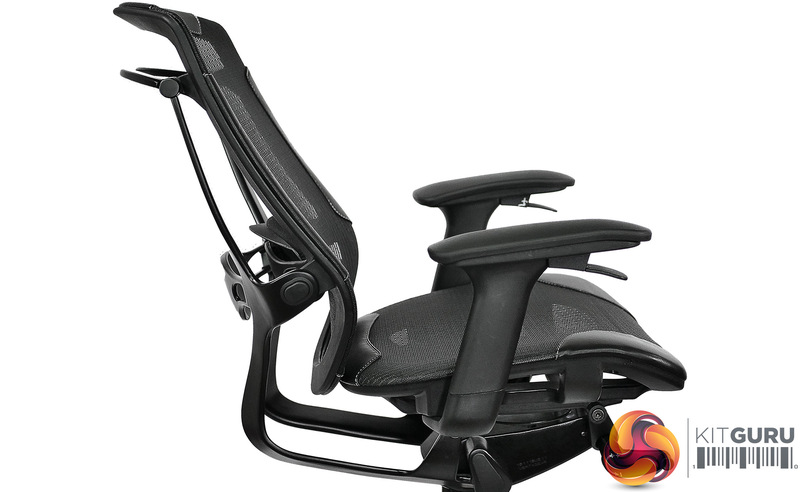 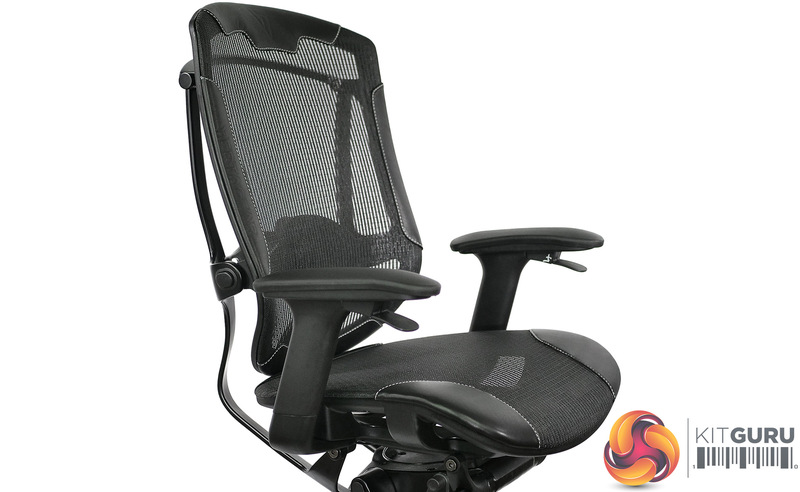 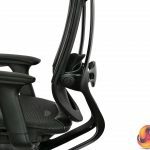 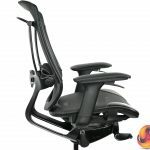 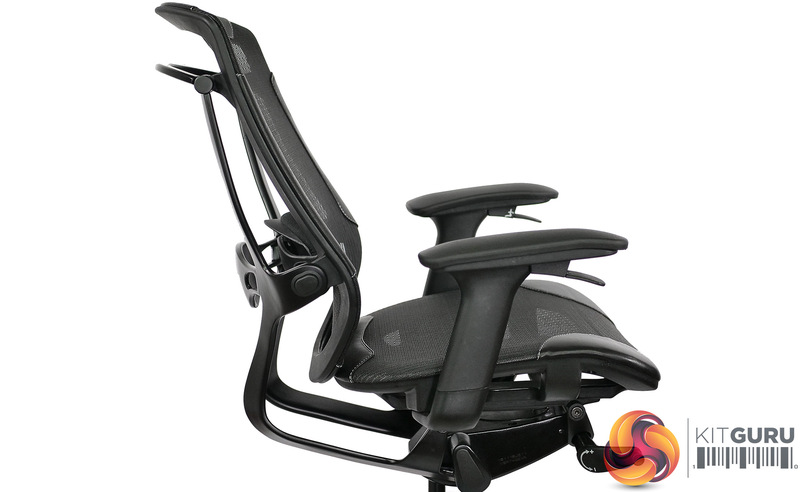 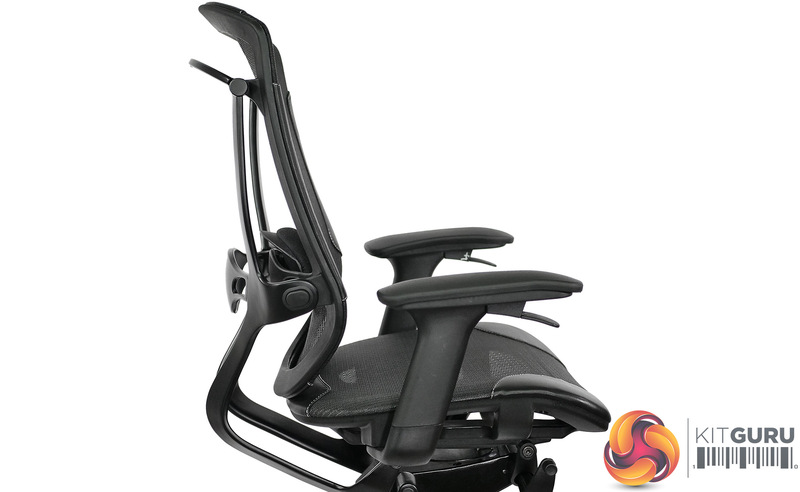 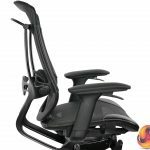 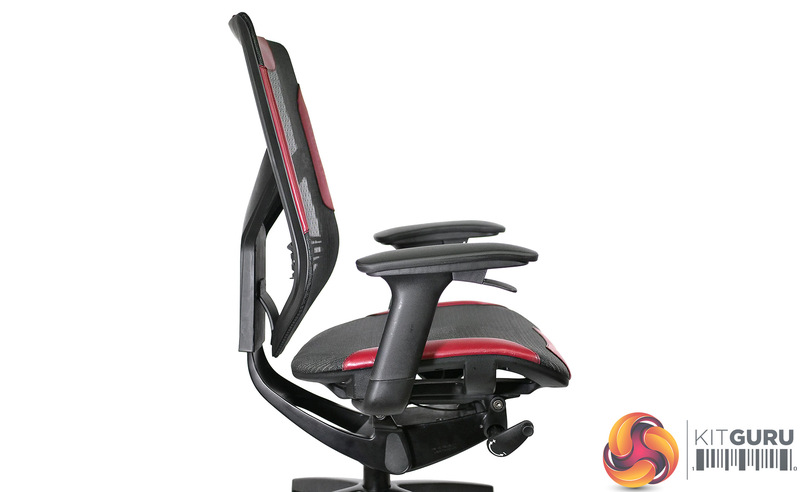 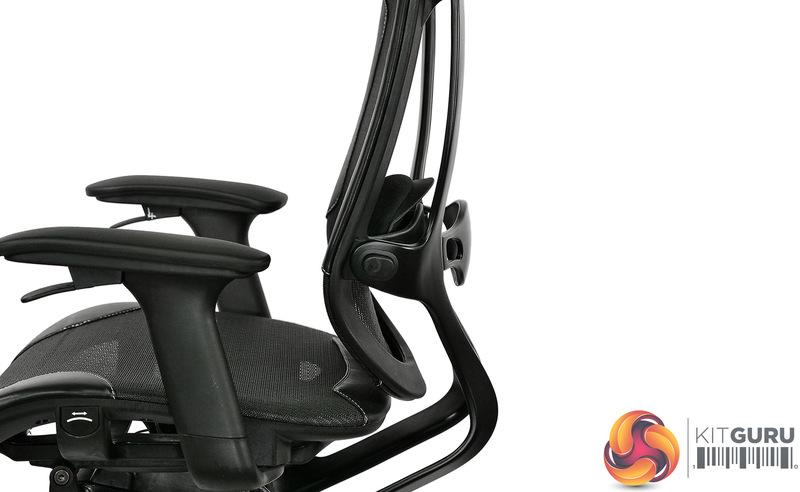 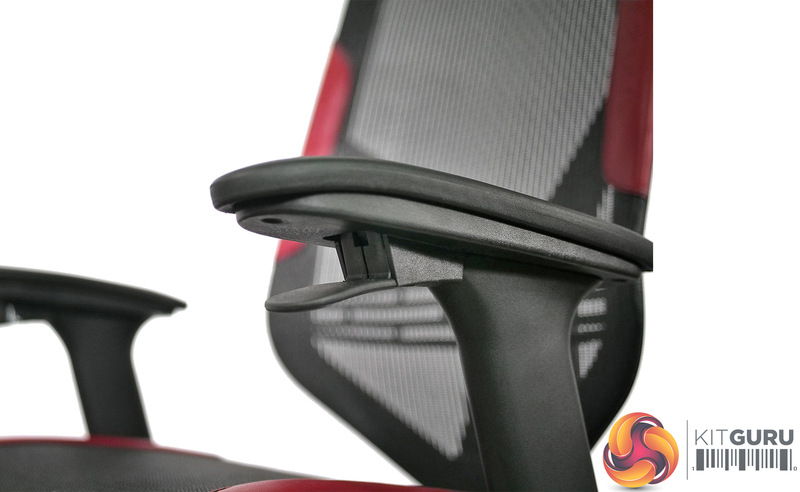 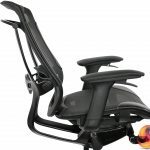 By contrast the 350 has a seat back that can swing in or out (two positions) to change the angle relative to the base which allows you to fine tune the lumbar support. 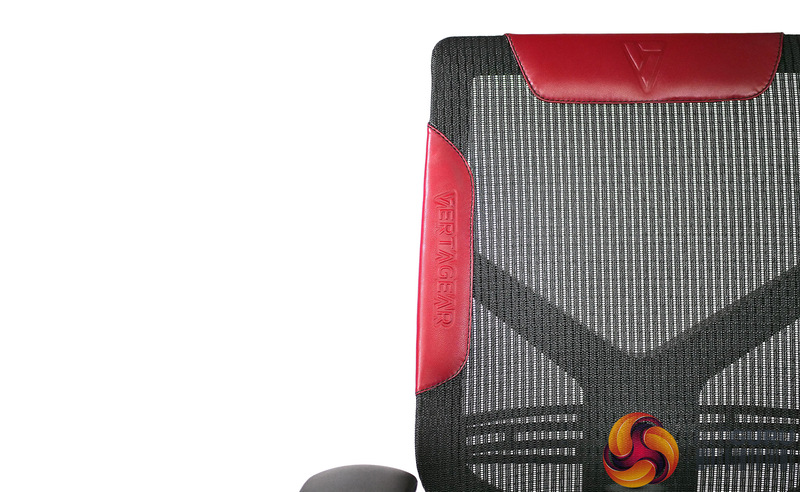 In addition there is a moveable pad that supports your lower back with a scary degree of precision. 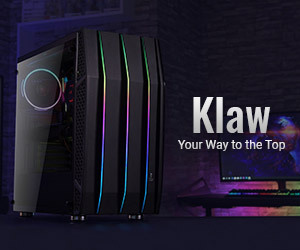 Now here’s the thing. 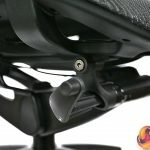 Your reviewer is aware these details about a chair might sound like a bunch of marketing hooey. 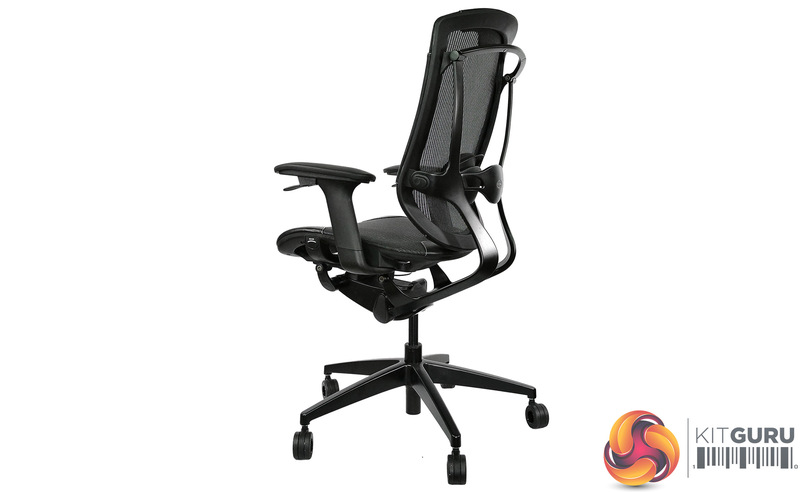 The price is terrifyingly high and a chair is, like, a chair, right? 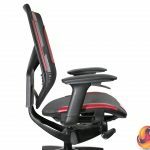 A few weeks ago I might may well have agreed, however the Triigger 350 has spent a good deal many hours supporting the editorial back and it feels superb. 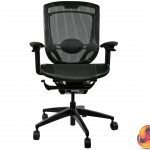 Purely by chance I proved this point when visiting the cinema to see Alien: Covenant (a movie that falls short of expectations). 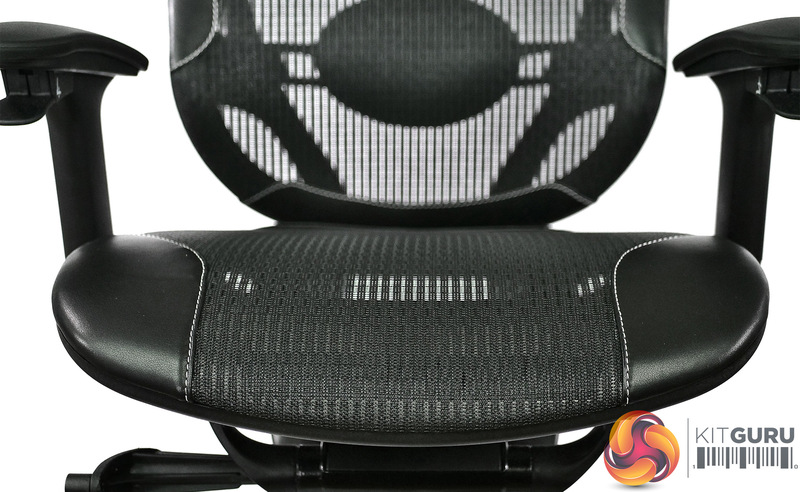 The screening room in question is a new 2D IMAX and the seats are like a bucket with a base that is far too long. 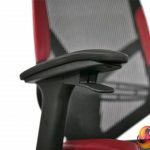 They offer zero back support and are immediately uncomfortable with the result that your correspondent spent 110 minutes with his jacket bundled up as a jury rigged back support. 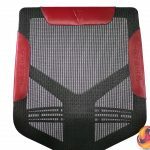 These might sound like the concerns and ramblings of a middle aged man who would benefit from losing a fair amount of weight around the midriff however it is clear that Vertagear has done a great many things correctly. 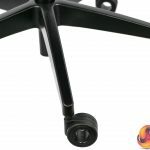 Cineworld, on the other hand, has done an appalling job for those of us who do not possess the thigh bones of Usain Bolt. 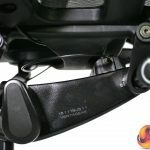 In that context you may feel that £500 is a huge sum of money to spend on a Triigger 275 however the upshot of this review is that we have discovered that £630 is the correct amount to spend on a Triigger 350. 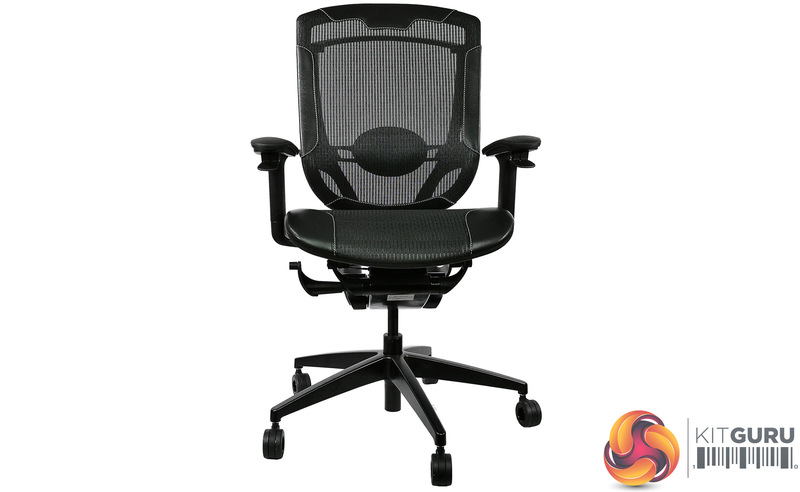 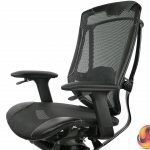 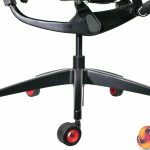 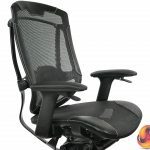 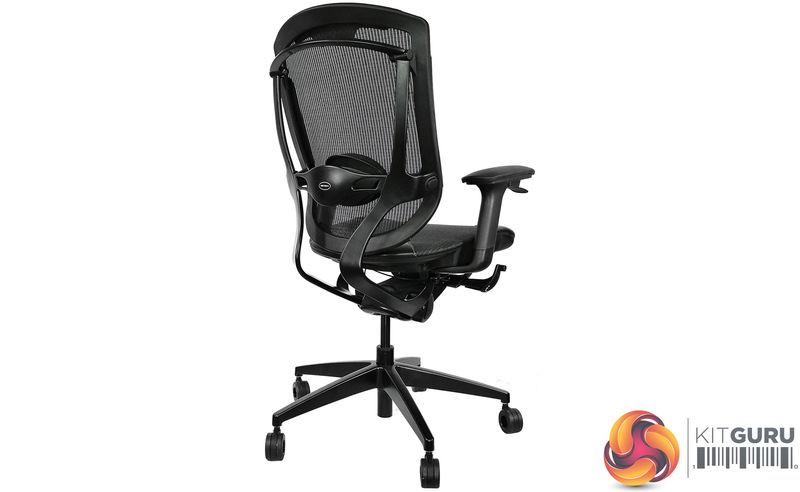 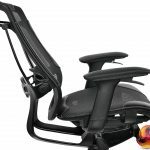 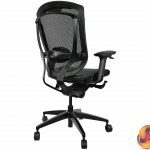 The Vertagear Triigger 275 and 350 are excellent office chairs that offer plenty of support to your lower back, regardless of whether you are creating PowerPoint, watching a movie or playing games. 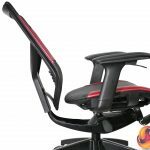 As we discuss in our video, they lose a certain amount of their advantage if you lean forward while you are playing games, so your posture is a factor that should be considered. 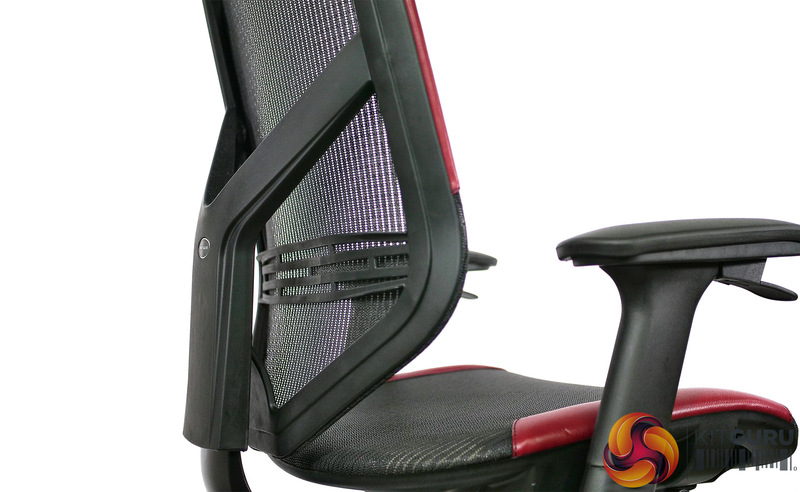 We like the quality of these chairs and the clever use of sophisticated materials and also appreciate the fact they are smaller and slimmer than many office chairs. 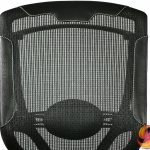 Instead of relying on squidgy padding to provide comfort they instead use an open DuPont TPEE mesh in the back and base that looks good visually and also allows air to circulate. 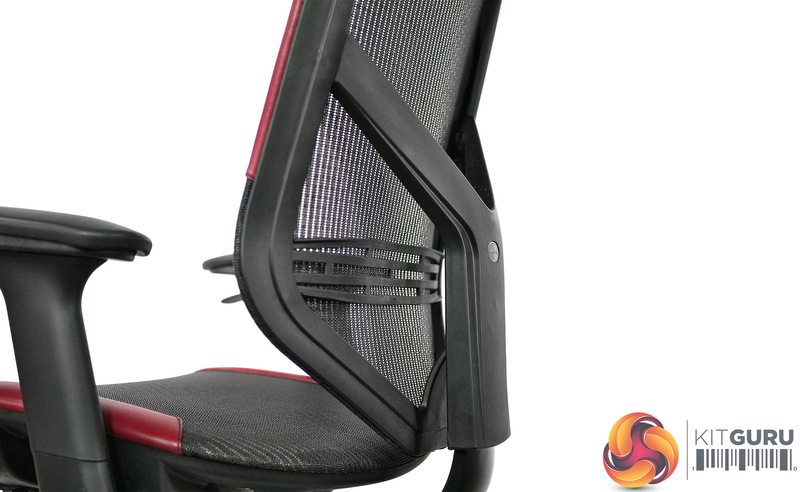 The calfskin leather trimmings look good and feel great. 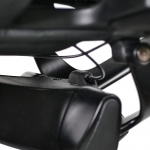 The extra features in the 350 may sound like minor improvements over the 275 but they make a world of difference. 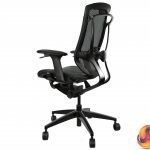 The cheaper 275 scores 8 out of 10 and ‘Worth Buying’ while the more expensive 350 is 9 out of 10 and ‘Must Have.’ Both of these chairs come with a ten year guarantee and we see no reason why they wouldn’t deliver at least that much duty. 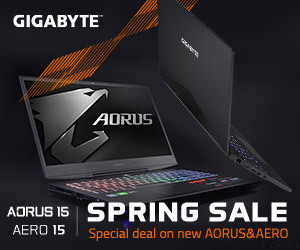 That works out to slightly more than £1 per week which, in the long run, sounds like superb value for money. 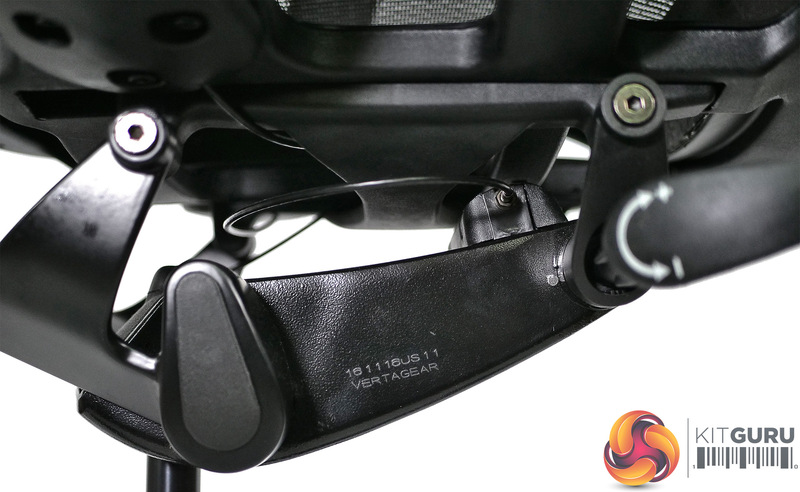 350 is fully adjustable, 275 has most of the features. 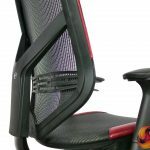 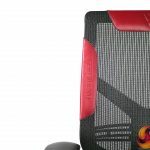 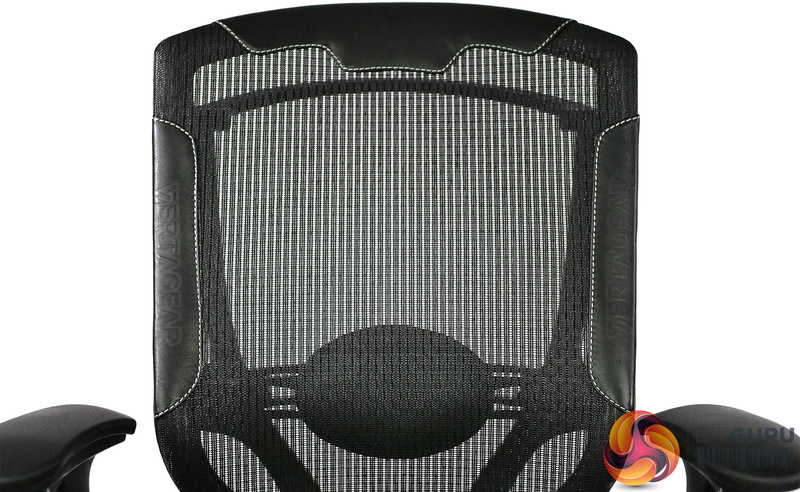 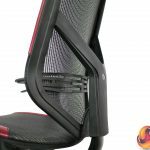 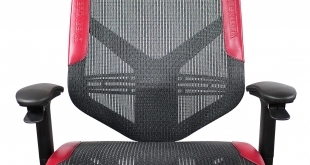 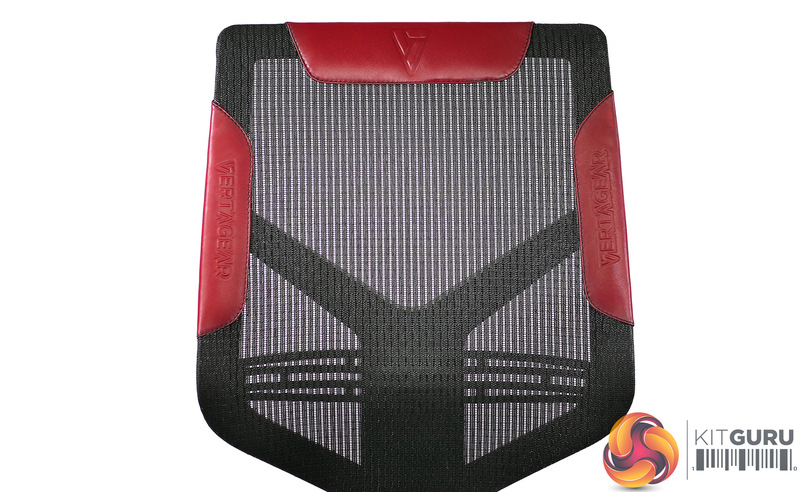 DuPont mesh seat and back are very supportive. 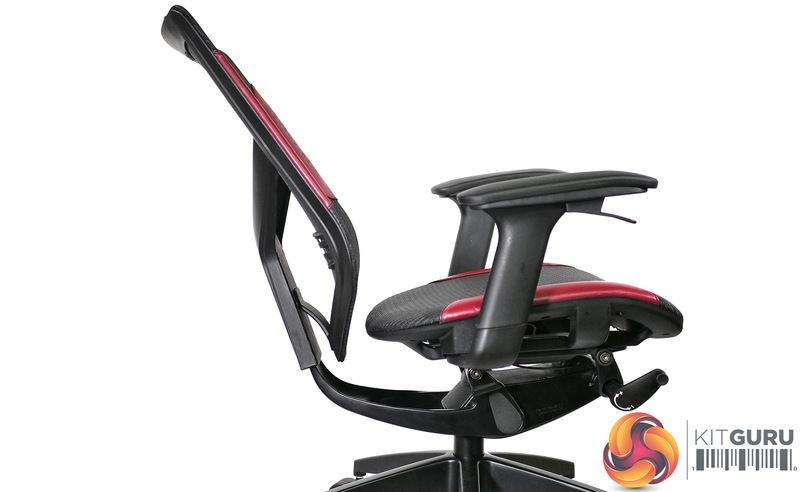 Awkward to move around the room as the arms lift up when you grab them. 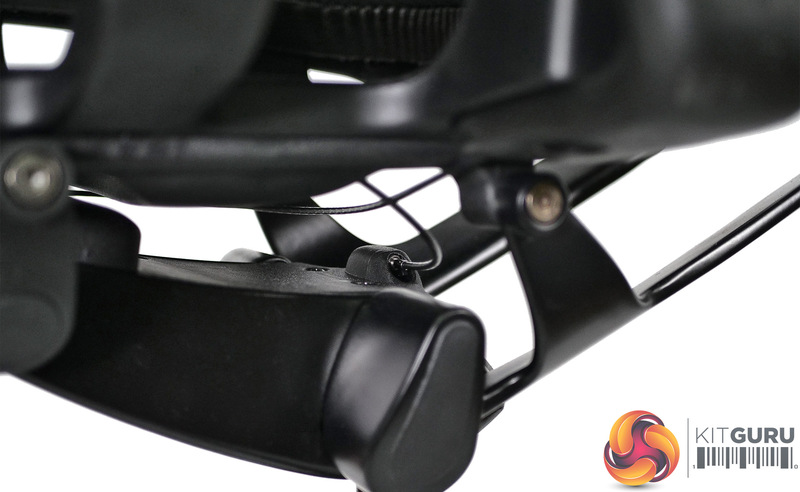 It’s the same story with the rise/fall back on the 275. 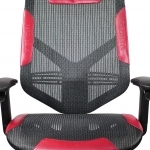 The price will deter many people. 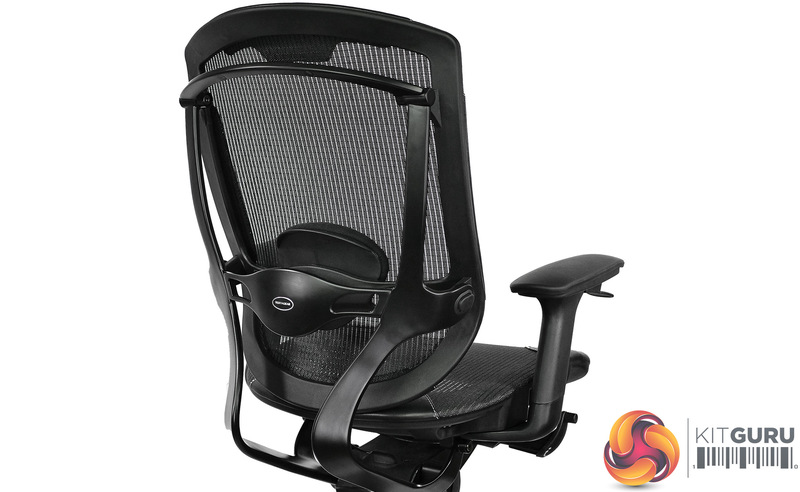 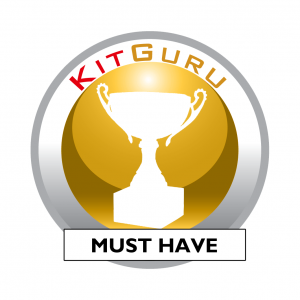 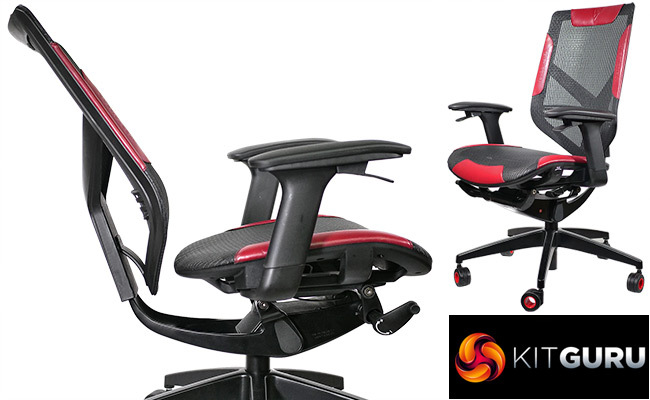 KitGuru says: Excellent quality chairs for gamers, and surprisingly good for everyone else too!